Before Dan began his career as a REALTOR® in 1994 he had worked his way through a variety of careers, everything from a restauranteur to a delivery guy for Purolator. It was when he began working in real estate that he truly found his passion! Flash forward many years to 2007 when Chez, Dan’s youngest daughter left her career as a registered massage therapist to partner with him in real estate. Our job is to work with you to help you achieve your real estate goals. We are not high-pressure salespeople as we feel that when we are in tune with you and your needs we will be able to deliver exactly what you’re looking for and that the decision will be an easy one! We truly care about our clients and strive to deliver the best possible service to every single one. Ensuring that our clients are well educated in the current real estate market is a high priority for us. With so many factors to consider and the complexities of the whole process, we strive to create confidence in our clients through knowledge, as well as trust that we have your best interest in mind. Whether buying or selling, we commit to being with you every step of the way. We will guide you through the steps that need to be taken together and will complete all the behind the scenes tasks without ever adding them to your to-do list. From the first steps to the closing day we are never more than a phone call away. Because of his personal involvement with Home of Hope, in 2013 Dan was honored to be chosen by RE/MAX of Western Canada as the recipient of the Community Care award. In 2016, Dan was also featured by RE/MAX of Western Canada in the “Beyond the Balloon” program, acknowledging RE/MAX REALTORS® actively contributing to their local and global communities. Watch the video here! In addition to being passionate about real estate, we also share a desire to make a difference worldwide. 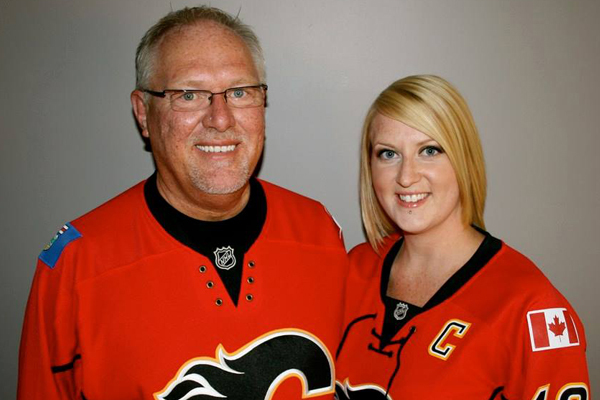 Dan & Chez are both actively involved with Home Of Hope, an Alberta-based charity working in Africa, India, and Nepal. Through many different programs, we are changing the lives of widows, orphans and the impoverished, providing opportunities and renewing hope for a brighter future. Some of the programs we are involved in include micro-loans and business training, feeding programs, educational programs and providing basic needs such as food and healthcare to some of the world’s most impoverished and vulnerable populations. Click here to learn more about Home of Hope and click here to learn more about our personal involvement. call Dan at 403-802-2020 or Chez at 403-831-7940.